We’ve spent our first week relaxing and catching up with life here. 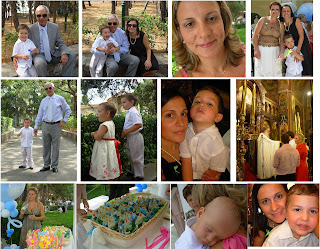 Two days after our arrival, my middle sister, Vali (third picture on top row), baptized her youngest child, Alexander…. This was the first year Aaron didn’t join the family in the festivities, and was sure missed by all. Baptisms over here are equally important to weddings. Little Alexander is the sleepy boy at the bottom row. It was out first time seeing him since he was born 9 months ago. It’s tough being away from your family but I feel blessed I get to rejoice with them in such happy moments. The post Happy moments appeared first on Le Papier Blog.